Specialising in Birkenstock and Blundstone. 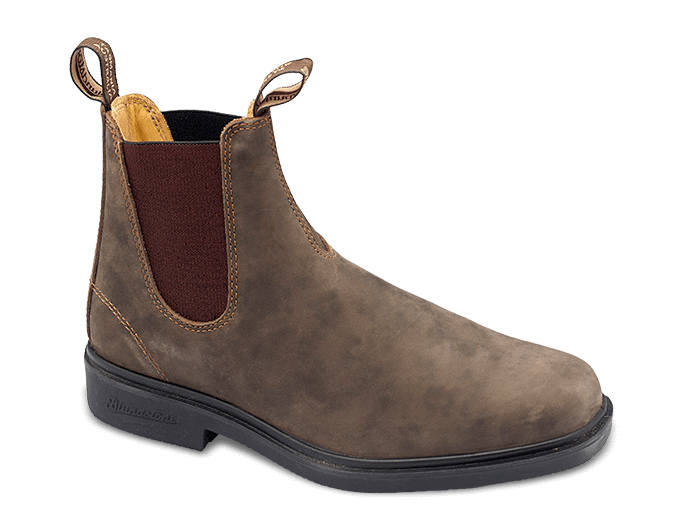 Yodgee Footwear offers well-crafted ergonomic footwear which deliver style, comfort & quality. With an ongoing customer relationship built upon expertise, trust, friendly service and value, we intend to offer the Yodgee brand of friendly service, product range and value across Australia and around the world on the Internet, maintaining a firm belief in fair trade, sustainability and honesty in our business. The Style 1306 is a square cut chiselled toe dress boot. It takes the humble Blunnie off the porch and into the boardroom.